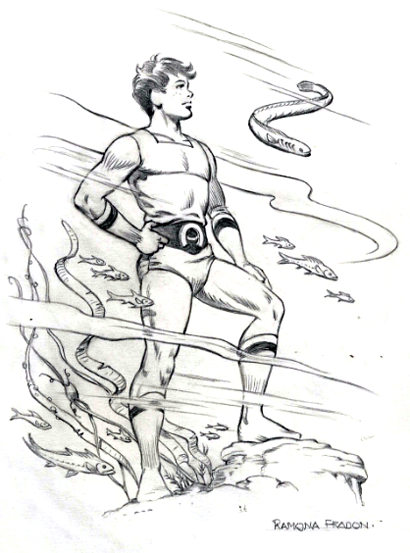 This majestic shot of Aqualad by the legendary Ramona Fradon is currently up for auction over on Comic Link. If you've never had the good fortune to meet Ms. Fradon in person, then here's your chance to get an original from her! Wow, that is a beautiful piece!